This year, one person will develop dementia every three minutes in the UK. In England, there are around 670,000 people living with some form of the condition, and that number is expected to double over the next 30 years. With no known cure, it is essential that a combination of research and support initiatives are put in place to help those with dementia and their friends and families – and University of Plymouth is playing a world-leading role in making that happen. Researchers in our Medical School, working alongside national and international colleagues, are pioneering cutting edge clinical trials into the potential causes and treatments of this devastating and progressive illness. And academics across all our faculties are guiding international organisations, including the UK Government, to enhance the support available in health settings, in communities and in the home. The benefits of the written and spoken word to people with dementia, and those who care for them, were celebrated at the launch of the National Memory Day project in London. VOYAGE is an inter-disciplinary initiative that harnesses research and innovation in the field of ageing across the University and its many external partners. Through seven complementary themes bringing together over 75 academics. 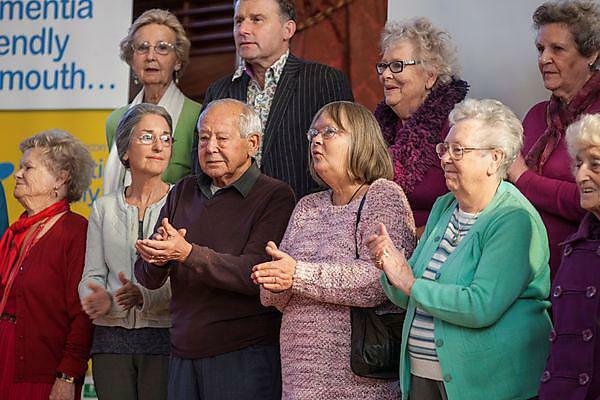 Dementia Friendly Communities is a programme which facilitates the creation of dementia-friendly communities across the UK. Everyone shares part of the responsibility for ensuring that people with dementia feel understood, valued and able to contribute to their community.